If you're looking to avoid processed store-bought mock meats, making a meatless homemade nut loaf is one way to go. 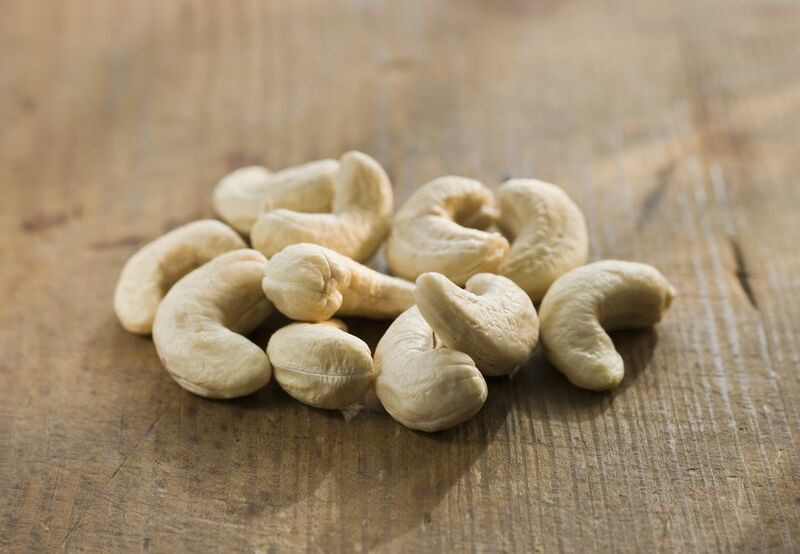 Cashews have a rich depth of flavor, and this simple vegetarian and vegan recipe lends itself well to carry additional spices, so add in whatever you have and like. For a dinner any night, vegetarian nut loaves are always a great protein source. It's easy to keep a supply of raw cashews in your pantry to use to make this loaf whenever you want a comfort food dinner. Try this homemade cashew nut loaf for a meat-free Thanksgiving or Christmas entree as it pairs very well with other foods served at holiday feasts. You can skip the commercially-made turkey substitutes and serve a loaf without additives, preservatives, and flavor enhancers to your guests who are vegan or vegetarian. This is also a soy-free recipe if you choose a vegan margarine that is not made with soy. Do note that this is not a gluten-free recipe. Pre-heat the oven to 400 F and lightly line or grease a large (one-pound) loaf pan. Set aside. Heat the vegan margarine or oil in a skillet, and saute onion until soft, about 4 to 5 minutes. Then set aside. In a food processor or a strong blender, pulse the cashews and the garlic cloves to chop, then add bread and sauteed onions until well combined. Next, add in the soy milk, Italian seasoning, celery seeds and a generous amount of salt and pepper. The mixture should be a little chunky still, and moist, but not wet. Spoon the blended cashew mixture into the prepared loaf pan and lightly smooth the top with a spatula or the back of a spoon. Drizzle your loaf with olive oil and ketchup if you'd like and bake it in the pre-heated oven for about 30 to 35 minutes, or until the loaf is firm and the top is lightly browned. If the loaf is too brown without firming up, you can reduce the oven temperature and cover the top of the loaf with foil to prevent more browning. Allow your loaf to cool slightly before serving, as this will help the loaf set and firm up a bit more (although even a crumbly loaf can be a mighty tasty loaf). Slice the loaf and serve. Serve your cashew nut loaf topped with extra ketchup and a side of mashed potatoes. Top it all off with your favorite vegetarian gravy. Add a side salad, steamed or roasted vegetables, and you've got yourself an awesome vegan dinner. You can store leftovers in the refrigerator for a couple of days or freeze them in a ziplock bag or airtight container. For convenience, you can make the loaf ahead and freeze it. To serve, allow the loaf to defrost. Slice portions and reheat them in the microwave. Don't be afraid to try a vegetarian loaf!